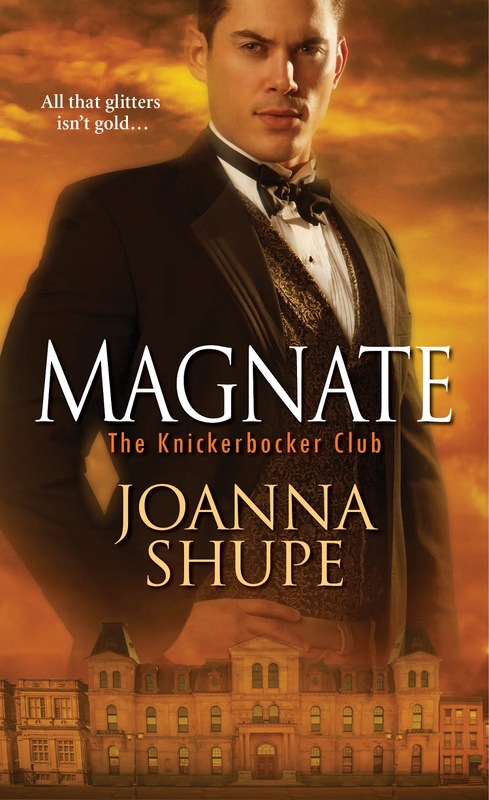 It's my pleasure to welcome Joanna Shupe to the Romance Dish today. 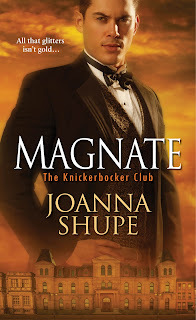 I'm so excited about her new The Knickerbocker Club series, set in New York City during the Gilded Age, one of my favorite American historical periods. You can read Janga's reviews of TYCOON (a novella) and MAGNATE (first book in the series) here. 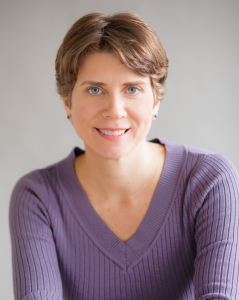 Joanna Shupe has always loved history, a fact that is clearly evident in her writing. She was the 2013 winner of RWA's Golden Heart® for Best Historical, her first Regency historical, The Courtesan Duchess was nominated as Best First Historical by RT Book Reviews, and The Lady Hellion was named one of the Washington Post's top five romance novels. Joanna can be found online at: Facebook Twitter. Thanks for hosting me on The Romance Dish today! I’m excited to be here today to discuss the Gilded Age, which serves as the setting for my new historical romance, MAGNATE. In Romancelandia, we know all about the Regency. It’s the beloved time in British history of Jane Austen, Byron, and the Prince Regent. Just say the word and we imagine balls, dukes, fancy gowns, and strict social conventions that heroines love to skirt. and industrialization at the end of the nineteenth century. You might recognize Boss Tweed, Tammany Hall and trust busting from school, which are, in concept, about as interesting as a root canal. But stay with me, because I’m about to blow your mind (I hope). In the Regency, English ladies wore elegant gowns with empire waists and long flowing skirts. The Gilded Age had gowns, too, and wealthy American women had oodles of money to spend on the very best, which usually meant dresses designed by the House of Worth, the originators of haute couture as we know it today. Just search “House of Worth Gowns” on Pinterest. You. Will. Not. Be. Sorry. The Gilded Age had fancy balls, as well as debutantes. And yes, the balls were just as exclusive as the Regency soirees. You might have heard the term “The Four Hundred,” which originated because Mrs. Astor’s ballroom only held four hundred people. Needless to say, this quickly established a list of who’s who in New York society. With so much money on hand for the Gilded Age’s elite, the balls were extravagant. Want 10,000 butterflies shipped in from Brazil? What about swans floating in a real pond as a centerpiece? Or party favors of gold pencil cases, jewelry, or cash? All of these actually happened. In Regency romance, we adore our dukes. And little wonder: the British aristocracy is an exclusive club not many could join. The high society of New York, however, operated in much the same way. No matter how wealthy you were, if your roots couldn’t be traced all the way back to the Dutch settlers of Manhattan, you were too gauche for this crowd. This was why many of the nouveau riche in America married their daughters off to English noblemen; they couldn’t buy acceptance in society, so they hoped to gain it through a British title. There are more similarities—from stately mansions and scandals, to class struggles and social upheaval—but one major difference between the two eras are the industrial advances. The Gilded Age had more modern toys, including railroads, the telegraph, and telephones. Even the automobile comes in at the tail end. Thankfully, there were still carriages and horses for those quick romantic rides across town. Have you watched The Age of Innocence, when Daniel Day-Lewis seduces Michelle Pfeiffer in the carriage? Gilded Age hotness! If you like historical romance, I hope you will give the Gilded Age a try. It’s a fascinating era, and my very favorite. What’s your favorite historical movie? Comment below with your answer for the chance to win a signed paperback copy of MAGNATE! I do love historical movies. I don't think I have an absolute favorite though. I do too, Mary and America's Gilded Age is one of my favorite eras. I hope you'll give Joanna's book a try. I loved it and, as you can tell from the review, so did Janga! True! There are so many. That's almost as bad as picking your favorite book - since it's my favorite genre I can't possibly pick lol. There are just too many good choices out there, aren't there? I love historical movies. They re my ultimate favorite and are so captivating and special. My favorite is Lawrence of Arabia. One of my favorite sweeping sagas! Oh, I love, love, love that movie! Schindler's List is my favorite. I enjoy profound historical movies. That movie always makes me sob. Such a powerful story. Oh, I'm so ordering this RIGHT NOW!!! I think you'll like this one, Hellie! I suppose I should answer the question. *LOL* I have so many--I love historical dramas as much as I love historical romances. Braveheart, North & South (both versions, but favor the British one more), Victoria, Call the Midwife (which I consider a historical movie of sorts), Shakespeare in Love, A Royal Night Out, The Four Feathers, etc, etc, etc. Oh, there's so many in this list that I haven't seen! Great recommendations! Far and Away or Chaplin I have both your books on my e-reader so please don't enter me in the drawing. I know of both but haven't seen either one. It's strange. I have no problem spending five hours devouring a book but I have trouble sitting still through a two hour movie. ;-) I hope you enjoy Tycoon and Magnate! I love Far & Away. Swoons! I haven't seen Far & Away in years but I remember liking it! Joanna is traveling today but she'll pop in when she's able. It may not be until later though. I love The Age of Innocence and The King's Speech. Both are great! John Adams was so, so good! I've been meaning to re-watch it now that I've seen Hamilton on Broadway. I've got several favorites - Last of the Mohicans, Robin Hood (all of them, but especially the latest one with Russell Crowe), Indiana Jones movies. This book series is during a time I'm not as familiar with - but I love to learn about history thru fiction. Loved The Age of Innocence! I also think Legends of The Fall. I just finished reading The Courtesan Duchess and loved it. Looking forward to reading more books by you! I definitely want to read both of these books. I really can't choose 1 but I did love Gone With The Wind, and Somewhere In Time with Jane Seymore and Christopher Reeves. To be honest I used to be a little reluctant when it came to the Gilded Age and it was exactly because of their noveou rich status of many people that put me off. To me they were a bit too brusque and ill-manered compared to the always aloof and composed regency counterparts but lately (and thanks to great shows like Mr. Selfridge and Downton Abbey) I've changed my mind about that era. And as you can see I do love a good historical piece. My absolute favorites are Pride and Prejudice (2005), Far and Away, The Name of the Rose, and Robin Hood: Prince of Thieves. Oh, and I do recommend The Way We Live Now to anyone that would like to know how it was during the Gilded Age. It's set in England but it does depict how it was for the "new money" in society.